Gustaf Unonius was born of Swedish parents in Helsingfors, Finland, in 1810. To avoid Russian rule, the family moved to Sweden and Unonius was educated at Uppsala University. After graduating with a law degree he became a government clerk at Uppsala. In 1841, Unonius and his new wife emigrated to the United States. The couple helped established the Swedish colony in New Uppsala, Wisconsin. Unonius entered the Episcopal ministry and served the community for seventeen years before returning to Sweden. His autobiography, A Pioneer in Northwest America: 1841-1858, was published in 1861. (2) In his autobiography, A Pioneer in Northwest America: 1841-1858, Gustaf Unoius described visiting Chicago for the first time in 1845. The principal site of the city is low and swampy, almost at the same level as Lake Michigan, and most of the buildings were at that time erected close to the lakeshore or on the miry, alluvial soil which time and again was flooded by the river flowing right through the city. Certain other parts consisted of waste expanses of sand without a blade of grass, and from them a floury dust was carried in blinding clouds over the clayey streets, sifting into the houses, making them as dusty inside as the outdoors was muddy and unpleasant. During the rainy season, and sometimes far into summer, the streets were almost impassable for driving as well as for walking. To be sure they were supplied with board sidewalks, but crossing from one side of the street to the the other entailed decided difficulties. 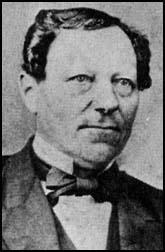 (3) Gustaf Unoius was shocked when he revisited Chicago in 1857. Twelve years have passed, and what a change in its appearance as well as in its population, which is now 120,000. The formerly low, swampy streets have been raised several feet and paved with planks or stone. The river has been dredged and widened; its shores have been supported with piles, evened off, raised well above the water level, and are now occupied by loading piers or used as foundations for gigantic warehouses or factories. It is now a city in which private and public buildings have been erected that compare favorably both in size and style with the most splendid structures in the capitals of Europe. In a single summer, in 1855, 2,700 new houses were built, many of which would be a source of pride to any city.